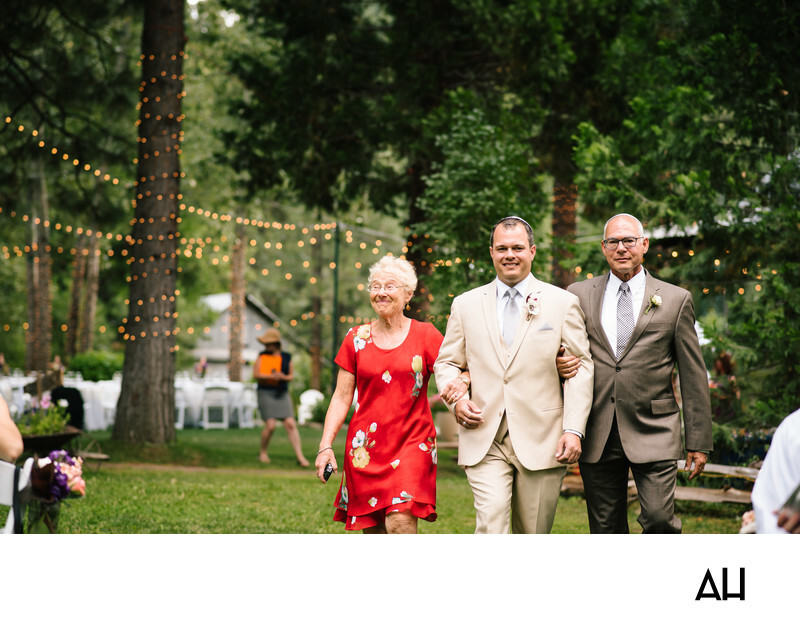 Northern California boasts a variety of gorgeous venues, but not many can top a Twenty Mile House Wedding. The Twenty Mile House has an extensive history and a colorful past. It was originally built in 1854 as a trading post for local gold miners. The space was dubbed the Twenty Mile House because, at the time, it was 20 miles west of Beckworth and 20 miles east of Quincy. In 1991 a woman named Barbara Gage bought the Twenty Mile House and turned it into a thriving bed and breakfast, which remains in full operation today. Later on, in 2009, Barbara's son moved into the Twenty Mile House with his wife and daughter and took over the business of running the bed and breakfast. Under this new management, the location expanded its repertoire to include a specialty in ecologically minded, green weddings. At a green Twenty Mile House Wedding, couples can hold their ceremonies on a spacious lawn area, surrounded by lush flower gardens and broadleaf trees. They also have the option to cross a preserved wooden bridge to be married in a forest ceremony, under tall pines and beside a flowing creek. After the ceremony, guests can enjoy cocktails in Twenty Mile House’s renovated brick patio bar and reception area. At this particular wedding, the bride and groom chose to have their ceremony on the lawn of the property. Trees surround the space, covered in lights that run across the canopy of leaves above the celebrations, while set tables wait patiently in the background, ready for guests to continue the day’s celebration at the reception. In the middle of it all is the groom, escorting his mother and father down the aisle to their seats. He will then stand alone, ready for the arrival of his bride-to-be.